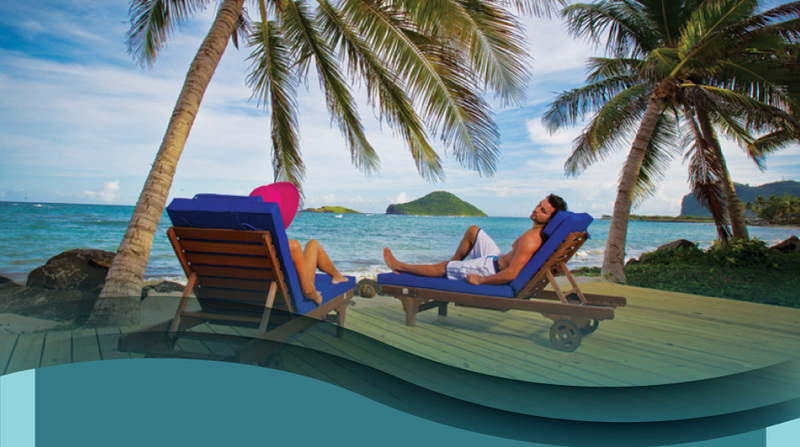 Coconut Bay Beach Resort & Spa offers an incredible all inclusive vacation in a casual Caribbean atmosphere. Book now and save up to 55% off the new Harmony Premium Ocean-View Rooms and suites. Harmony features an adults-only pool and bar, sundecks for two, hammocks, and oceanfront spa. Stay 7 nights & receive a $250 resort credit which can be redeemed on spa treatments, island adventures or gift shop purchases. Offer must be booked by May 15,2013, and valid for travel til June 15,2013.